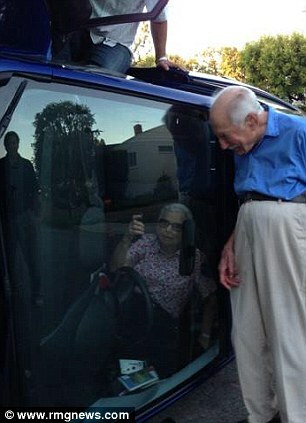 After 60 years of marriage, nothing could rattle a pair of octogenarians – not even a car crash. 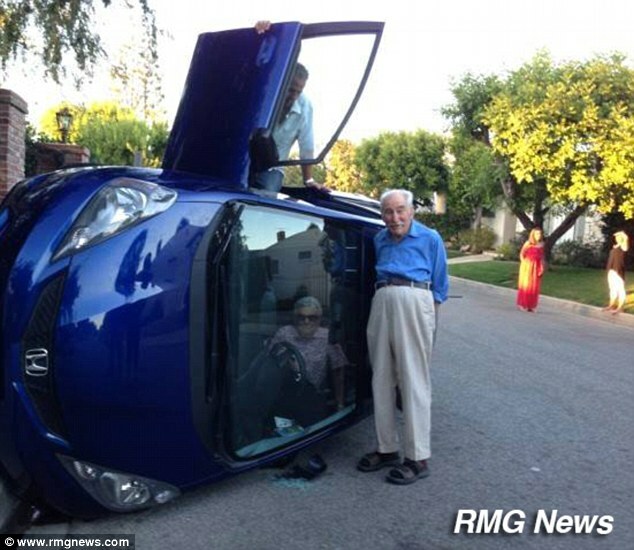 So when the couple emerged unscathed from the rollover in Bel Air, California, they did the only logical thing, grabbing their cell phones to pose for selifes with the wreckage. The incident took place late Friday afternoon on Linda Flora Drive in the wealthy Los Angeles neighborhood made famous in the 90s by a sitcom starring Will Smith. 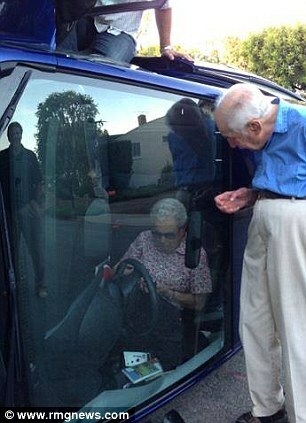 As neighbors and passersby rushed to lend the couple a hand, the elderly woman in the car asked her husband for her purse so that she too could snap a selfie with her phone. 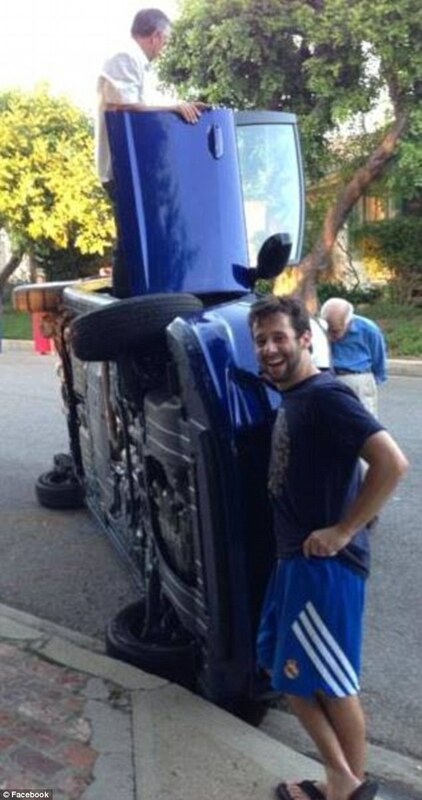 Eyewitness Ryan Steinberg, who happened to be in the area, also posed for a photo depicting him with a wide grin against the backdrop of the blue Honda perched on its side. 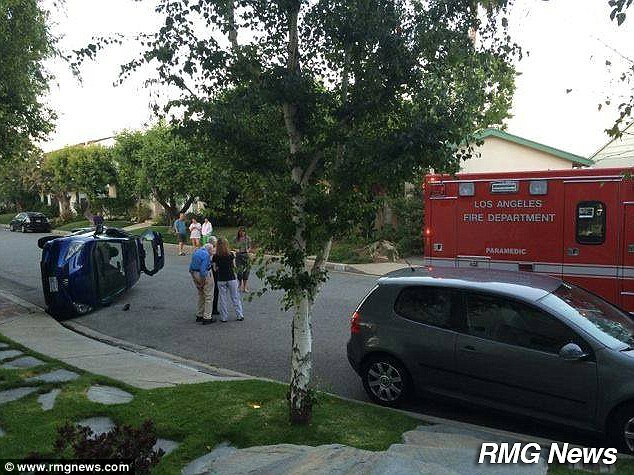 The Los Angeles Fire Department eventually arrived on the scene and extracted the driver from the overturned vehicle. 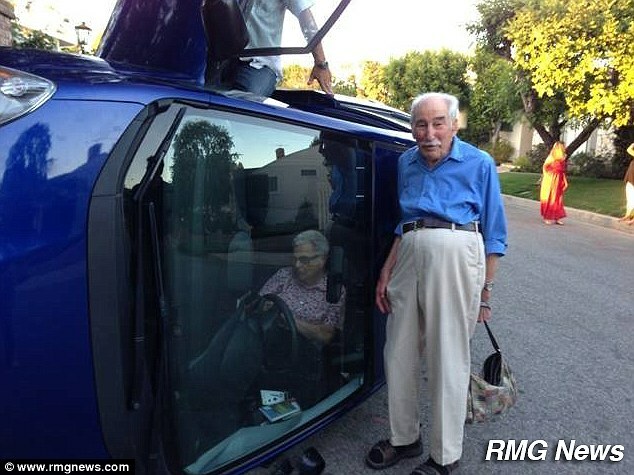 Both husband and wife were said to be in good spirits. Their names have not been released to the public.